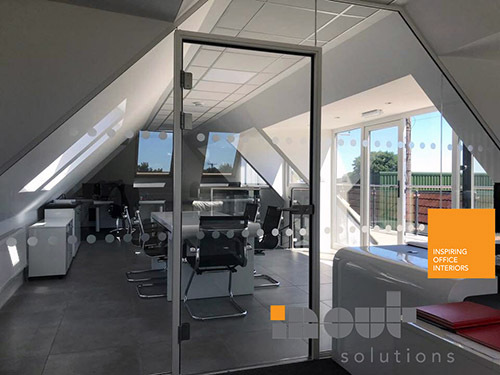 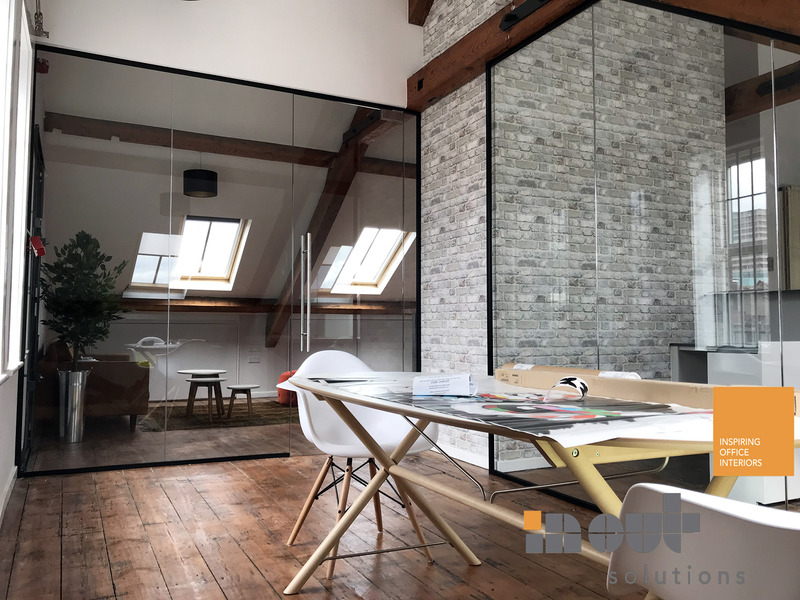 Maximize your interior space with minimal cost with our Office Partitioning Leeds and Office partitions made of the highest quality glass. 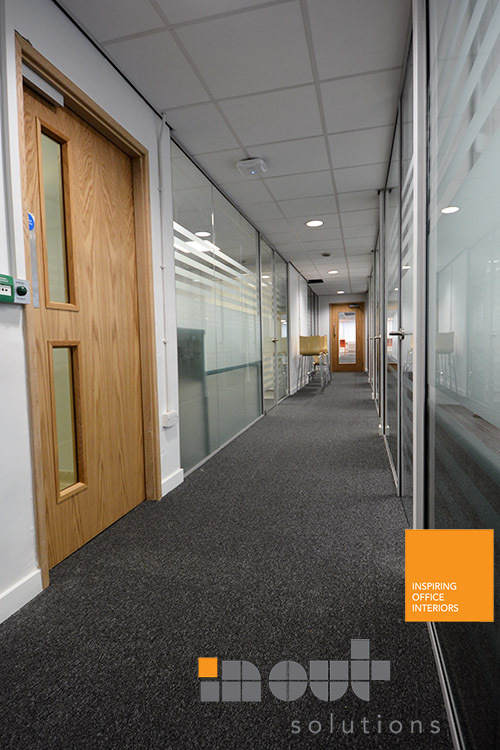 Improve the productivity and atmosphere with a clean, simple and contemporary office partitioning and office partitions. 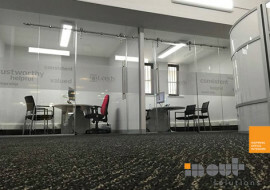 Today, there are a whole range of office partitions on the market. 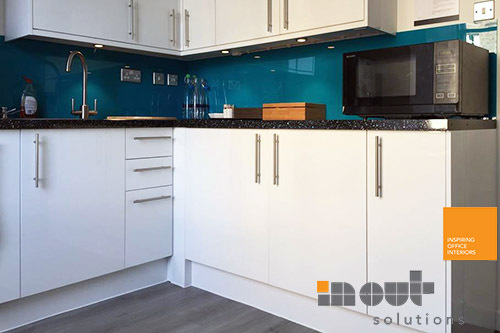 With many different types and styles, our team can help you to make the right choice depending on your requirements and budget. 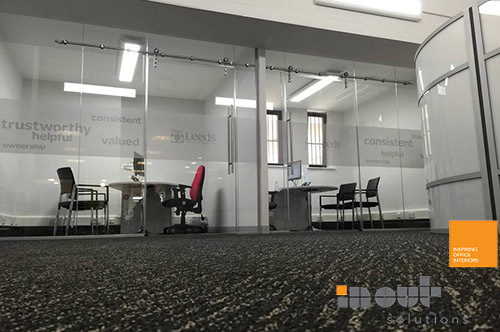 Demountable Partitions – All our partitions are also demountable so can be removed and re-installed at a later day if required. 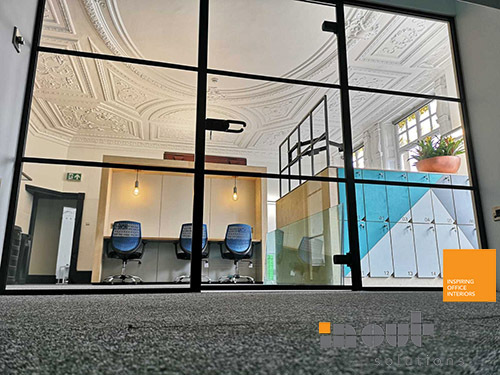 Solid Partitions – If you are looking for high acoustic integrity and solid finish then solid partitions are for you. 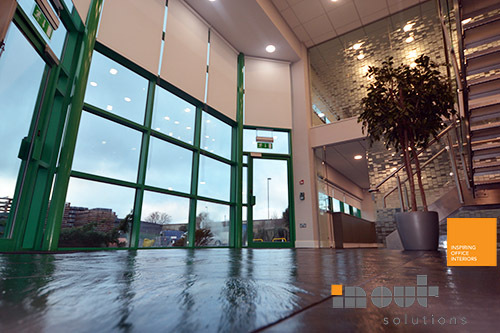 This is the low cost solutions, plasterboard panels with single or double skin. 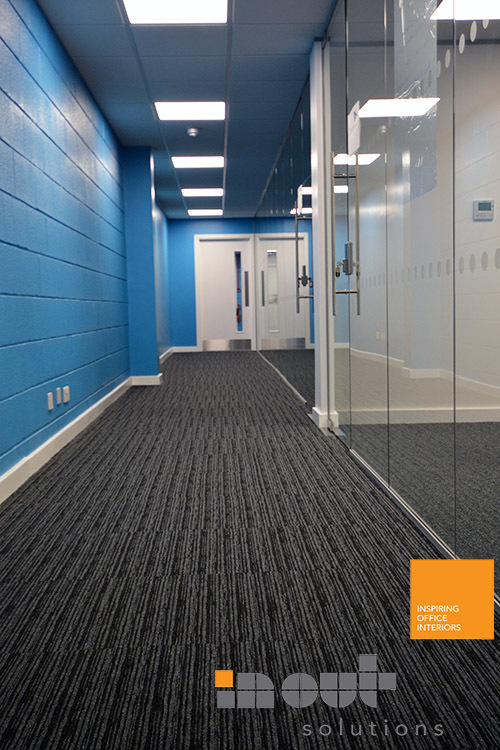 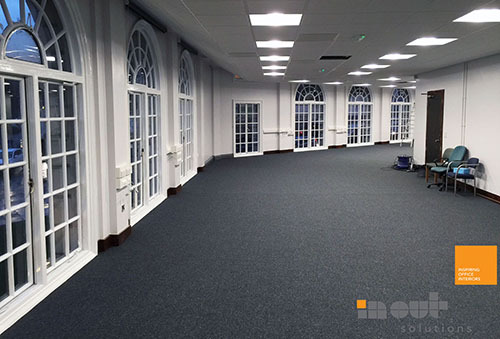 Fire Rated Partitions – Used to protect people and equipment against fire. 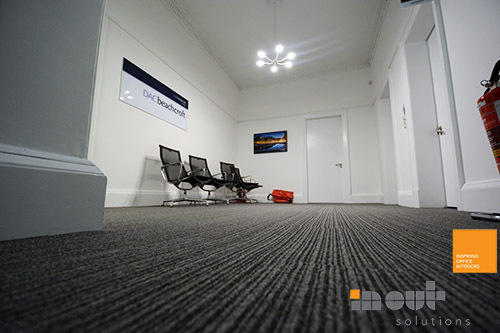 They are graded by the amount of time protection from an outbreak of fire, ranging from 30 minutes to 2 hours. 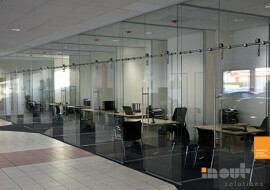 Acoustic Partitions – Acoustic is another major performance consideration. 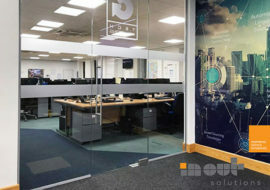 Acoustic Partitioning Systems reduce noise in building. Choice of Office Partition Finish – timber, veener, glass, vinyl, steel of MFC (melamine faced composite). 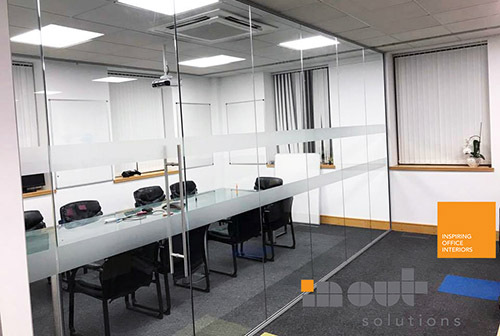 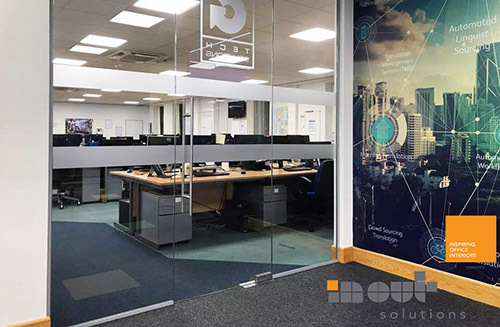 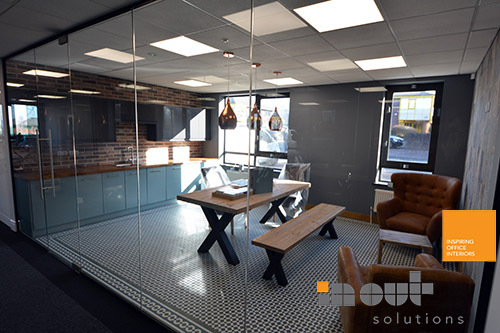 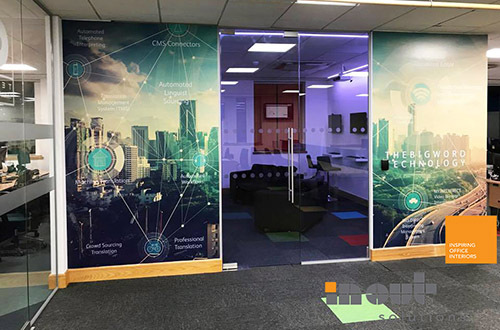 In Out Solutions have been delivering glass office partitions for years and we are team of experienced technicians with all phases of office glass installation. 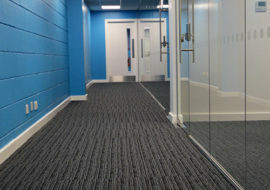 Looking for a unique office look? 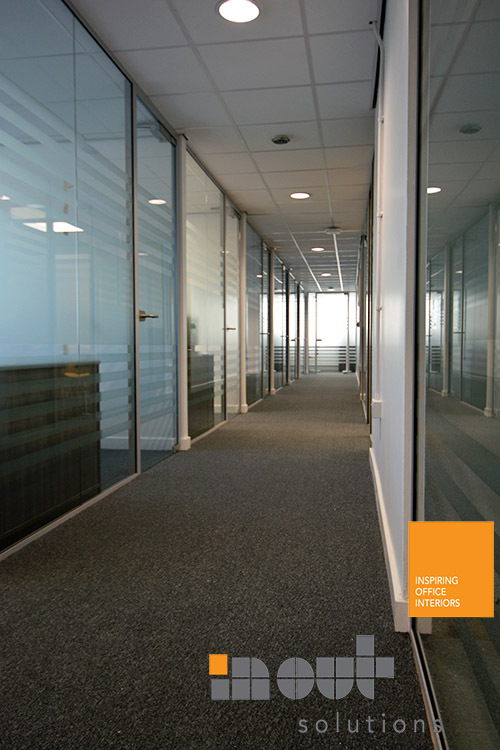 We can help with office interior glass. 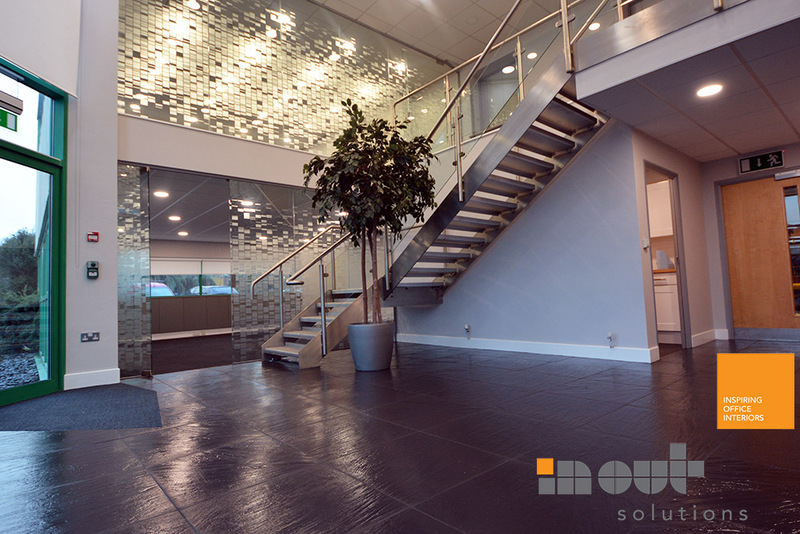 In Out Solutions have served Yorkshire customers with integrity, professionalism. 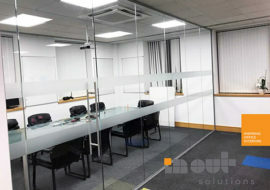 We will work with you from beginning until the end of the project, we will meet your deadline.